Scratch 3.0 is here and we now can create student accounts! You will click the link for your classroom and following instructions. Your username should follow these conventions (First name Last initial Classname) - for example kimw4m. 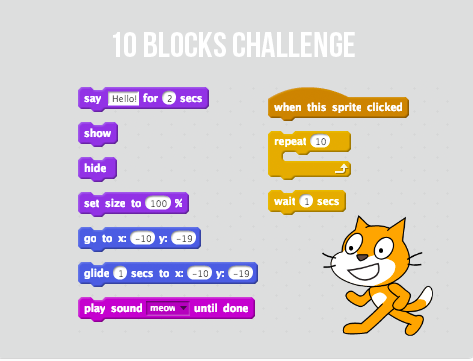 Use only these 10 blocks, as many times as you like, to get your sprites interacting.